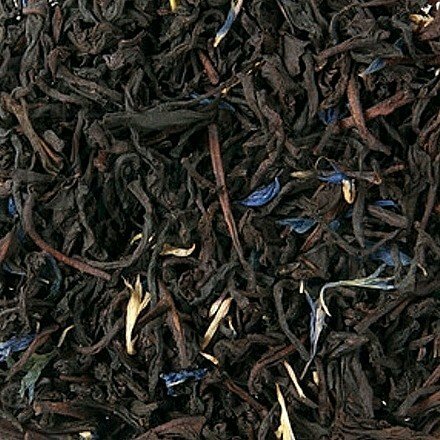 Earl Grey - Monsieur T.
Earl Gray is the most popular flavored tea in the world. Bergamot, ever heard about it? It’s a small Italian citrus that gives Earl Gray its appreciated tart taste. A bit of history: Earl Gray comes from an ancient Chinese recipe sent by a Mandarin to count Grey, Foreign Secretary of the British Crown in the 19th century. Since then, his popularity is undisputed. Such a classic does not go out of fashion. A bit like a pearl necklace or an eyeglass. No, not the eyeglass. Contains: Black tea blend from Dimbula, UVA and Nuwara Eliya in Sri Lanka, blueberry flowers, natural flavors of bergamot.